On this Theme Thursday Season Three webcast, Jim Collison, Gallup's Director of Talent Sourcing, and Maika Leibbrandt, Senior Workplace Consultant, talk about Focus with guest Manish Puri. “Where am I headed?” you ask yourself. You ask this question every day. Guided by this theme of Focus, you need a clear destination. Lacking one, your life and your work can quickly become frustrating. And so each year, each month and even each week, you set goals. These goals then serve as your compass, helping you determine priorities and make the necessary corrections to get back on course. Your Focus is powerful because it forces you to filter; you instinctively evaluate whether or not a particular action will help you move toward your goal. Those that don’t are ignored. In the end, then, your Focus forces you to be efficient. Naturally, the flip side of this is that it causes you to become impatient with delays, obstacles and even tangents, no matter how intriguing they appear to be. This makes you an extremely valuable team member. When others start to wander down other avenues, you bring them back to the main road. Your Focus reminds everyone that if something is not helping you move toward your destination, then it is not important. And if it is not important, then it is not worth your time. You keep everyone on point. Focus in an executing theme that is all about staying the course until the goal is accomplished. It is about staying on the path. Focus exudes an intensity and intentionality towards a goal. Focus is beneficial tunnel vision. You have the ability to lock on to a goal and execute until it is finished. Focus is the natural tendency to understand that there’s a purpose to what you’re executing. That purpose needs to be obvious sometimes, and leaders with Focus can enhance that obviousness. You are making sure that the check boxes are being ticked off to add up to something bigger, more practical and more black and white. You instinctively evaluate a particular action that will help move you towards your goal. Focus is the ability to only see what’s in front of you, and not lose sight with other things around you. It is the innate ability to filter. Focus allows you as an individual contributor to intensely work towards a goal. As a leader the benefit of that can be the ability not only to execute, but to set priorities for that goal. It is taking that passion that you have towards a goal, and translating it into a passion for what your organization needs to accomplish. Focus has a lot of emotion in it. That emotion can translate into intensity and passion towards what your team or division is excited about. Focus is leading by example by helping others see your intense work ethic. If you allow others into this it sets your expectations for other people, and it can be an example of what great hard work looks like. Give yourself milestones so that you don’t get lost in the execution. Very often Focus can look really far into the future because you can see through all the mess. You can see through the tunnel of distraction to reach the end goal. If you are locked down and zoned out for a long amount of time, it can be difficult for others to feel like they are in it with you. You can grow your Focus by being able to translate internally what happens to help bring people with you externally. Your talent to sort distractions away for your team is your greatest ability you have as a leader for Focus. It is similar to Discipline and having the ability to ask, “Does this fit into the plan?” Focus can ask, “Does this fit into the way we are executing this plan?” Combat any distraction that takes away from what your team should be doing. Greater efficiency will light you up in positive ways. Focus goes a long way towards trust by being able to think about what is essential and what is not essential. If it is not worth your time, than it is probably not worth your people’s time. Be sure when delegating that you’re assigning tasks that are essential and something you would focus on yourself. Focus can provide stability by planning a little further in advance. Share your long term goals with your followers. Let them know just what it is you see at the end of the tunnel. It can provide compassion by acknowledging the people that help you do your job. Individuals with Focus aren’t going to be naturally attuned to the emotions around them, but have the ability to be able to acknowledge those people that help balance their work and their life. People with Focus naturally create hope by reducing clutter. As time and projects go on a lot of clutter happens in our lives. They can inspire hope by helping others let go of things that are in the way and aren’t working towards the goal. Your intensity towards a human being can feel like power. It can feel like a huge investment. How do you feel about the Focus Theme in a leadership role? Share your thoughts and experiences on the Called to Coach Facebook page. Manish Puri is the Founder of STRAVENUES™, a Coaching & Consulting company. Manish is a Business Consultant & Coach, engaged in coaching Business Owners, Corporates & individuals. 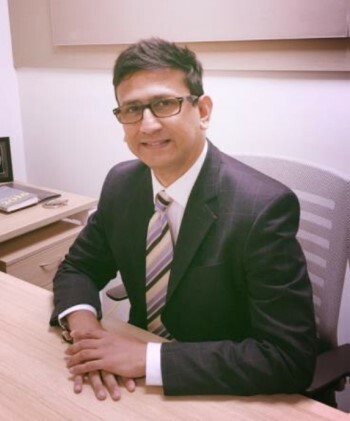 Manish’s specific area of expertise is- ENHANCING BUSINESS VOLUMES & PRODUCTIVITY. He does so through coaching on Leadership, Business Acquisition & Sales Process, and Strategy & Strengths. Some of the industry segments Manish has coached so far are- Luxury Cars, Beverages, Consumer Durables, Management Consulting, Banking, Financial Services, Accessories & Jewelry, Furniture & Appliances, Logistics, Graphic Design, Web Services, Exports, Interior Design, Engineering & Real Estate. Manish is a Gallup Certified Strengths Coach & a Certified Master Coach from Kinder Brothers International. Manish's top 5 strengths are: Activator | Significance | Focus | Futuristic | Relator.